Wholesale businesses are an unsung hero behind many of the new companies we see popping up all over Instagram and Facebook. You know the companies I’m talking about, they constantly post meticulously posed models wearing enviable stylish outfits and donning an array of their beautiful accessories – handbags, jewelry, hats, scarves. In most of these cases, those pieces aren’t handmade and original, but rather they are mass produced and sold by wholesale companies to retailers. One of the most popular wholesalers currently is a business you have likely heard of, and even more likely have purchased their items from a retailer — Alibaba. This Chinese company has dominated in recent years, providing products directly to retailers, and even to secondary wholesale companies. Companies like Alibaba buy mass amounts of products directly from the manufacturer at low cost, and sell the products at a marked up prices to businesses with high volume purchase orders. The advantage to being a wholesale business is the profit margin, however there are obstacles on your journey to success. 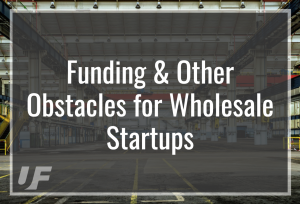 While the fantasy and draw of starting a wholesale business is very seductive, there are a few issues that many new wholesale startups will face. The first is accomodating for the mass amount of product to keep on hand at your facility. If you are asking, “What facility?”, you have your first problem. 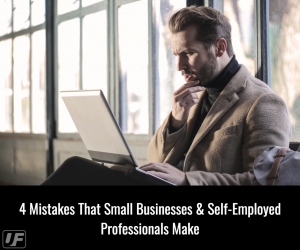 You may be tempted to dropship your wholesale items directly from the manufacturer to the retailer, but keep in mind that you may be purchasing from manufacturers overseas, which will increase your lead time and possibly decrease your reputation as a wholesaler. 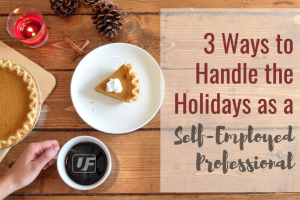 Keeping items on hand is one of the most effective ways to keep your retailers happy and meet demands- especially during high traffic shipping times like holidays. Finding a warehouse or facility that will adequately store your products is a high priority for a wholesale startup. As a wholesaler, you will require a lot of manpower, based on the amount of product you intend to move. This means including a fast and reliable staff that will be able to get large amounts of items out quickly and without error. Shipping supplies are also another necessary expense. What kind of products will be you shipping? Small items like jewelry and accessories? Or larger items like hardware and machinery? Depending on the fragility, weight and size of your products, special accommodations may be required to ensure that the products are arriving in the best condition – cutting down on the chances for returns. If you have the ability to finance everything on your own, great! Using your savings, or selling persona assets can get you to a certain point, and depending on what is required to start your business it may be enough. However, you have to think about what is on the line if the business does not work out and where the risk may lie. One of the most popular options for startups is a Small Business Loan or a Start-Up Loan. Unsecured Finances offers many types of loans, as well as consulting about what is the best fit for your business. We can guide you through the steps to find a solution for you. If there are further obstacles keeping you from getting your funds (such as a low credit score), we can offer our professional advice to help you get your finances back on track so you are able to reapplying as soon as possible. The final option is raising the funds. Depending on the type of business, you can find a way to create a fundraising event or page. However, these efforts can be extremely sensitive to execute, and reaching your desired funding may be a lot more difficult and time consuming. Regardless, checking out options like gofundme.com and similar platforms is a good option to research to see if it will be effective for your business.